SlugFest Games supports Battle for Greyport Store Events at local game stores all over the world. Learn how to play and take on new challenges for fabulous prizes! 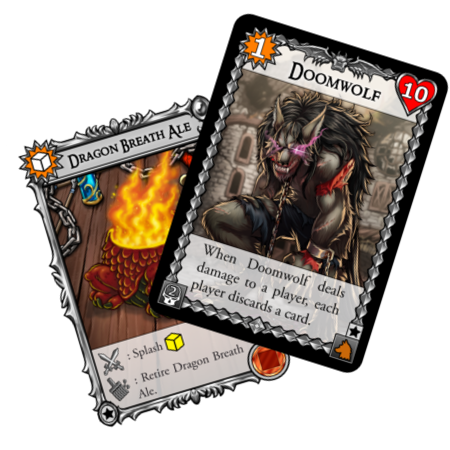 Interested in playing Battle for Greyport and getting cool promotional cards? Encourage your local game store to visit this site and order a Store Event Kit! Want to increase store traffic and promote sales? Order Store Event Kits today! Your first kit will cost 5$ (shipping included) and each kit after that in the same order is just 2$ more! If you help a store run Battle for Greyport events, you can earn the event’s promo cards and earn SlugCrew points! Contact your local game store and tell them about Store Events! For everyone thirsty for more Battle for Greyport Store Events (and perhaps some Grog..), we’re firing up a new season. This time the theme and inspiration come from our Pirates! 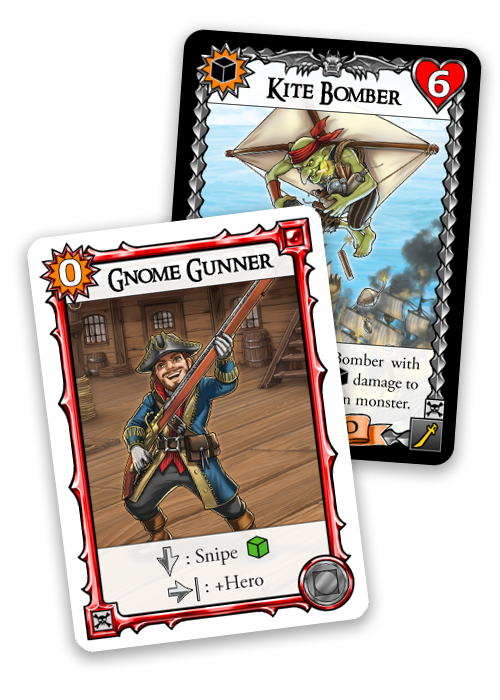 expansion, with a new Pirate monster and nautical hero card to help players take them out! Season 1 kits are still available for order, and will remain ‘in print’ for the duration of the Battle for Greyport Store Events program. The Fine Print: Players, Host Stores and Facilitators are expected to know and abide by the Store Event Rules documents. Failure to do so will result in the loss of Store Event privileges. The most up-to-date documents can be found on this page. SlugFest Games reserves the right to change or terminate Store Events without notice.